Jocks not nerds: Why dumb politicians may be better. The era of the warrior king was awe-inspiring. The leader that rode his troops into battle, survived arrow puncture wounds and chopped off a dozen enemy heads really earned the right to sit on that throne. But over time, it became clear that the two skill-sets – sagacious governing and vigorous neck-hacking – were rarely found in the same individual. We saw specialisation and gains from trade. 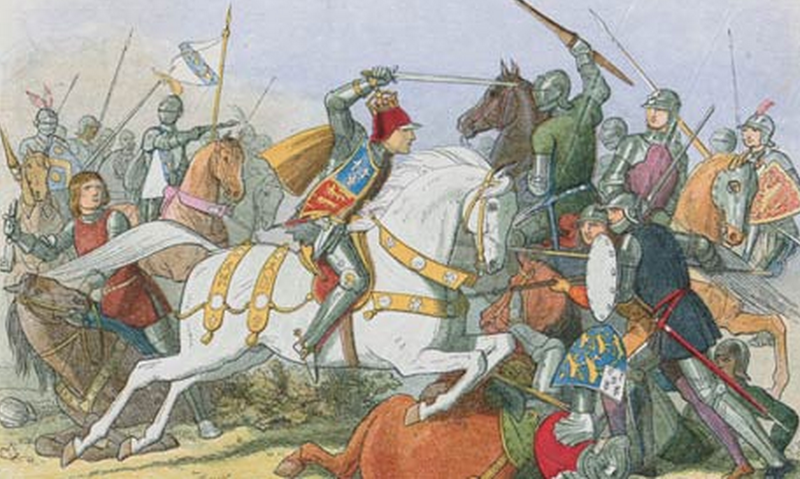 Kings paid knights to do their warring for them while Knights benefited from having a bookish type on the throne – someone inclined to spend hours contemplating the merits of the laws, rather than lifting heavy rocks. So we come to modern politicians. There’s a lot of complaints that these people are “too dumb”. But is that fair? Since when did we expect the parliament to do the heavy thinking to come up with new policies? That’s why we have the public service, the think tanks, the vast commentariat. 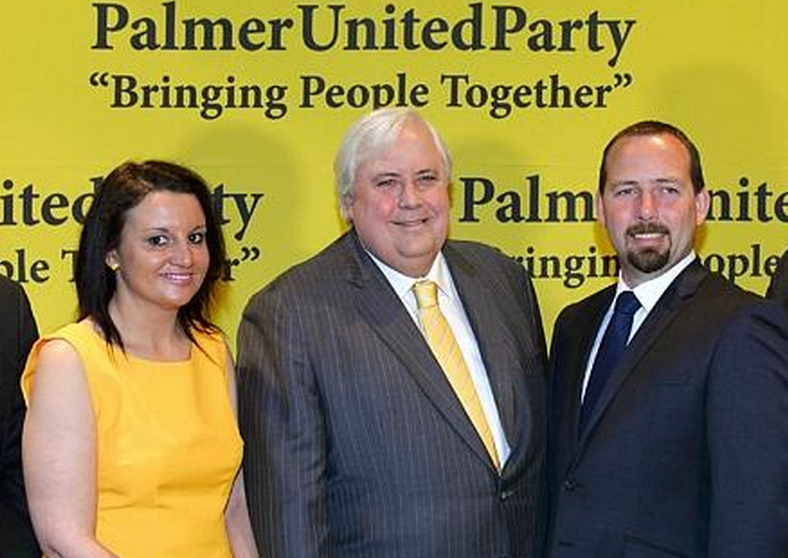 There is no shortage of good ideas in Australian politics. Take today’s call for the end of negative gearing, for example. That idea doesn’t need to be invented, just implemented. What we need in parliament is people who can make parliament work. We need coalition-builders. We need people other people are happy to follow. We need people who can bolt together a coalition of interested parties to make something happen. We need leaders. If your community is chock-full of bookish types, then they may be delighted to be led by a former university professor. But will that inspire and delight the community at large? I’m not saying the level should be brought down that low, mind you. The politicians still need to be able to tell a good idea from a bad one. The Dunning Kruger effect, wherein a person may be too stupid to tell they are stupid, is an ever-present risk among candidates for parliament. Many of them self-select, thinking they are the first person who ever wanted to take “common sense to Canberra”. That may have been true once. But these days we are barely governed at all. Years pass without any real reform, while reams of sensible but bold recommendations printed on glossy A4 blow emptily round the inner-city streets of Canberra. So don’t be afraid to vote for a Jock. Someone who seems smiley and friendly and very popular, if a little bit dim. Someone whose electoral success is not explained by a dazzling academic CV. They might be the the exact politician we need. Posted on September 30, 2014 Author thomasthethinkengineCategories UncategorizedTags Australia, leadership, Politics, specialisation2 Comments on Jocks not nerds: Why dumb politicians may be better. The Australian dollar has just tumbled. How should that make us feel? Well for starters, you should feel poorer. If you have any positive number Australian dollars, they are now worth less in international markets. If electricity prices or taxes went up that much, we’d have hyperventilating shock-jocks all up in our front pages. But when the dollar moves that much, the silence is tangible. That’s actually crazy. We spend far more of our money on imports than we do on electricity. 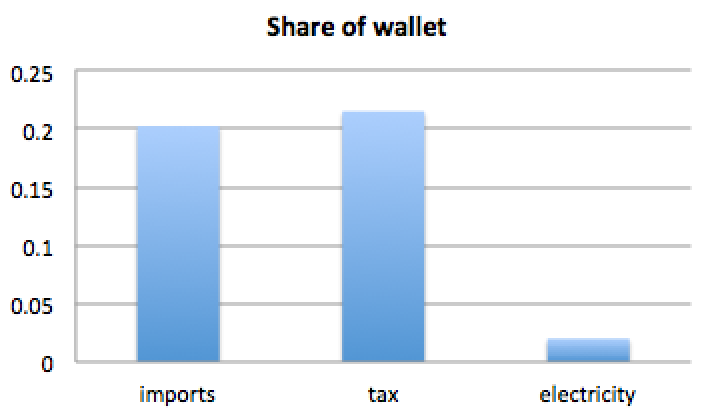 We spend a similar amount on imports as on taxes. If there is no locally made equivalent for what you like to buy (e.g. a laptop computer, quality coffee, petrol, most clothing) you’re just stuck paying more for what you love. But before your weeping becomes unconsolable read on: a lower dollar could actually do some good, eventually. 1. Australian exports start to look cheaper, and they sell more. The upside will be extra apparent to you if the company you work for does exporting. Exporting is rarer than you might think. Just 2 per cent of Australian firms export (although obviously they tend to be bigger firms with more employees). If you work for BHP Billiton, CSL or a school that teaches English to international students, your employer should find sales lifting without any extra effort, and you should find that the payrises start flowing a little more easily. Beauty, mate! 2. Consumers start buying Aussie products, not the imported equivalent. If the product your company makes competes with foreign imports (including overseas travel), the fall in the dollar will help. Maybe your company is in food production or owns hotels on the Gold Coast. If so, plan for better times ahead. But don’t get overexcited. The time it takes for a lower dollar to flow through to higher-priced imports can be long. While some things like petrol are traded frequently on world markets, most imports have their prices locked in well in advance. So, on balance, how should you feel about the lower dollar? It depends. If you’re a big fan of buying Australian made and you think foreigners should be too, happy days are ahead. 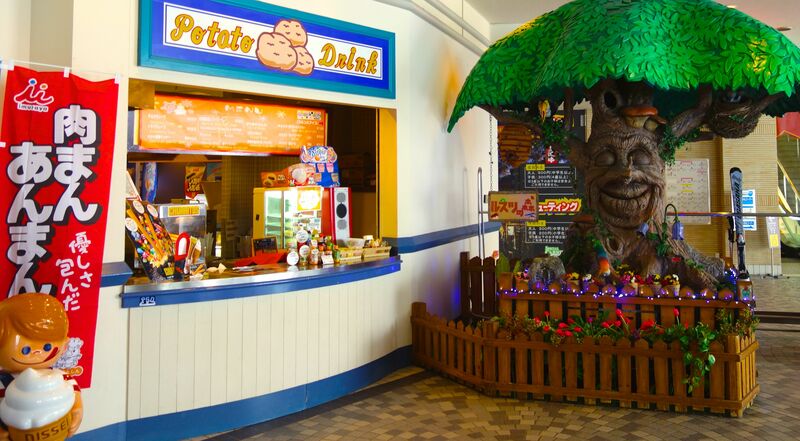 If you’re a connoisseur of foreign made products or a fan of international travel, then it’s more gloom and doom. 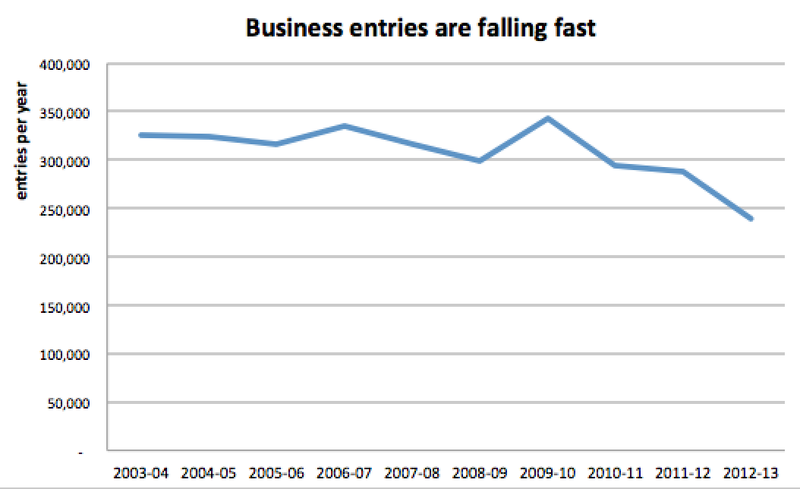 If you work in the Australian economy, then you can (gradually) start to whoop it up. If you’re retired and you mainly consume the output of the Australian economy, then things look less rosy. This is at once the blessing and the curse of writing about economics. It’s the Kurt Vonnegut effect: there’s no simple story – no absolute doom and gloom. Every change in price that hurts someone helps someone else. Even if this seems like a windfall to you, the polite thing to do is re-arrange your face into a neutral position and carry on with your day. Posted on September 29, 2014 September 29, 2014 Author thomasthethinkengineCategories UncategorizedTags australian dollar, Economics, exchange rateLeave a comment on The Australian dollar has just tumbled. How should that make us feel? The new, smaller Coke can is momentous: the End of Cola is Nigh. In Australia, Coke is launching a 250mL coke can with a big hullaballoo. Spin it all you want, but this is an admission the industry is in giant trouble. The normal procedure for shrinking portion sizes is to be damn sneaky about it. Toilet paper companies shrink the number of squares per roll, chocolate bar companies shrink the grams per Snickers, detergent companies shrink the bottles and put the words “ultra concentrate” on the front. ““The 250ml pack size provides Australians with a perfect serve of their favourite beverage from the COCA-COLA range. Priced at a maximum of $2, the 250ml can is expected to be popular with consumers,” said Antoinette Tyrrell, Marketing Manager COCA-COLA South Pacific. After decades of watching Pepsi stalking them, Coca Cola got hit by a different sort of market change. Functional drinks have slashed the market share of soft drink. Energy drinks, sports drinks, juices, water etc. are all in the space. Coke has bought and built these brands up when it could, but when consumers are not choosing cola, Coke can’t ever hope to control the market like it did once. The rise of functional drinks means people are thinking about what their drinks will do to them. That can never help Coke. Aware of the perception that Coke is not that good for you, Coke manages it by giving you less! They don’t even pretend to hope people will buy more of the smaller cans. They just hope people will buy them at all. The last great marketing campaign Coke had was “share a coke with“. Now that was brilliant, completely. But its link with the underlying product is very weak, and it can’t overcome the long-run trend. The global soft drink market is growing far more slowly than global economic growth (2 per cent vs 5 per cent) Coca Cola’s reported net revenues are down 3 per cent in the year to date, and Australia’s Coca Cola Amatil is a shambles. The share price has fallen from $15 to $9. The end of Cola is a good thing. Much of Coca Cola’s revenue growth now come from the poorer parts of the world. But the model is there for them to follow – when they grow rich they will likely also no longer “Enjoy” Coke. Posted on September 26, 2014 Author thomasthethinkengineCategories UncategorizedTags coca cola, marketing3 Comments on The new, smaller Coke can is momentous: the End of Cola is Nigh. The Sydney Harbour Bridge was a bad mistake. There are lessons in Australia’s history we can learn from. One of them is the screw-up that is Sydney. Sydney was well-placed to become the London of Australia. A prime location, settled first, the early seat of power. It had it all. But while London remains by far the wealthiest and biggest city in the UK, Sydney is on-track to be overtaken by Melbourne in population. 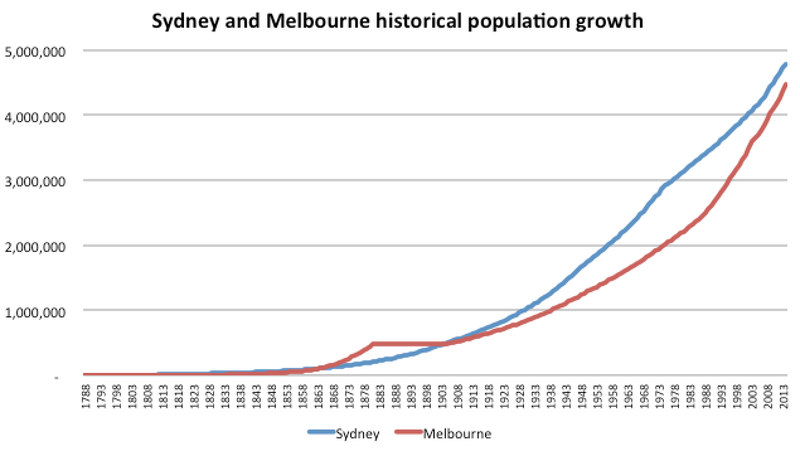 If Melbourne overtakes Sydney, it won’t be the first time. 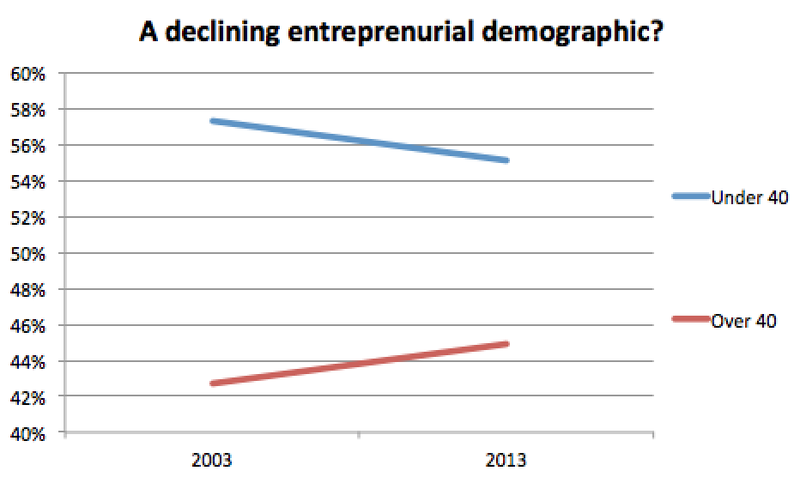 Sydney had a 40-year headstart and yet lost its lead in the 19th century. At that stage the reason was the Gold Rush. Sydney got its lead back when a financial crisis hit in the 1890s. Sources: various, but consider this a rough approximation. If Sydney is overtaken by Melbourne in population, you can’t blame the Sydney-siders. They work hard, but they’re behind the eight-ball. The problem is the harbour. If you think of it as public space, it’s lovely to look at and nice to use. But if you think of it as distance, is it smart to put so much of it right in the middle of your city? Do you really want so much distance between inner-city suburbs? Wouldn’t it be better to have a network of streets? I contend that the harbour creates a massive problem in the middle of Sydney. 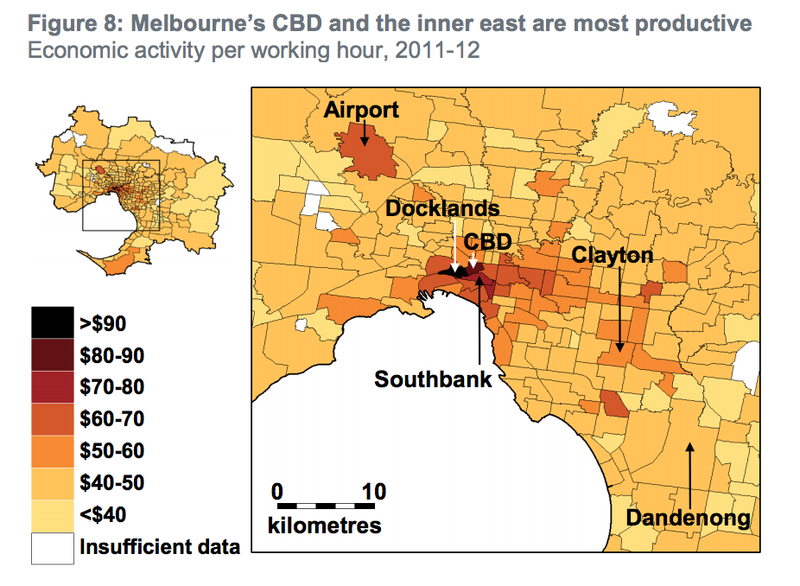 The CBD is unable to connect properly into adjacent suburbs because they are a ferry-ride away. There is plenty of evidence to suggest that connectivity is absolutely crucial to how cities work. It is no coincidence that the areas best connected to lots of other productive areas are also the most productive and expensive real estate. Sydney has more than one major business cluster. 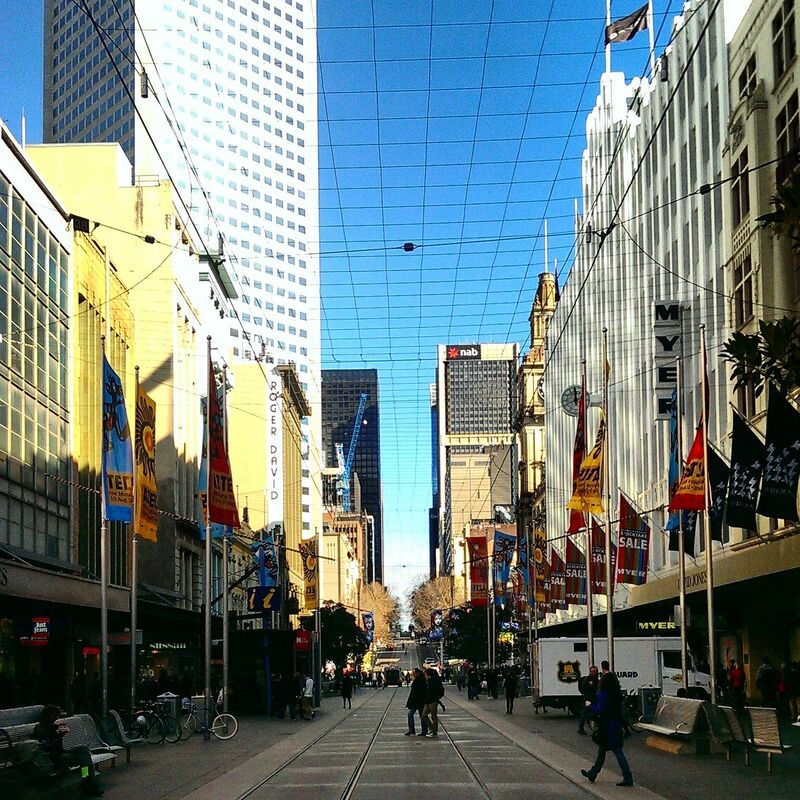 The city competes with North Sydney and Parramatta. But I’d argue that’s a sign of weakness, not of strength. Of course every city has suburban centres, but powerhouses like New York and London aren’t confused about where might be the centre of power, or the best spot to locate a business. Sydney’s situation whispers: this city is too big to really be one functional city. But globally-speaking, Sydney is not even that big, population wise. So, the harbour in the middle could be part of the problem. But the harbour became the centre of Sydney only when a bridge was built that made the north shore more accessible. You can see the population develop in this video and the north only really takes off after 1932, when the final rivet was painted. The smart move would have been to densely fill in the area to the south, intensively, before building to the north. We’ve all played computer games where you have to build certain things in a certain order. If you build too many of the wrong thing too early, you get out of whack, run out of gold and you can’t beat the game. I’d argue that’s what Sydney did. Despite using tolls to pay it off, the debt lingered until 1988. The opportunity cost? Not just the proper development of contiguous land areas, but also what that money might have bought if spent differently. When the rest of the world was building world class public transport systems, Sydney let theirs go. If Sydney didn’t build the bridge, the city might have simply left the harbour as a boundary on the north. Of course some people would have chosen to live there still, but probably fewer. There’s plenty of space to the south that could have become very desirable had the economic centre of the city not been shifted north by the “coat-hanger”. But building the bridge was not the end of Sydney’s attempts to link north and south. With booming northern suburbs and an incipient northern CBD, it threw good money after bad with years of very expensive ferries and then the construction of a tunnel opened in 1992. The Bridge may soon need to be replaced, due to rust. But forget the money. 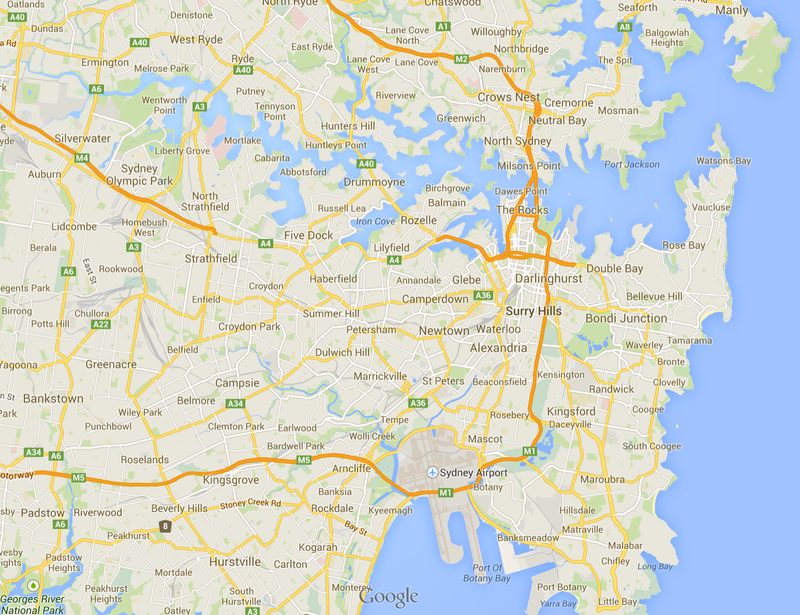 I’m arguing that the bridge moved the harbour from the north to the middle of Sydney, and that hurt. This whole argument rests on the idea – coming back into fashion – that infrastructure is “city-shaping.” That means you oughtn’t merely provide for existing demand, you should understand what you provide will shape future demand. Bodies of water are city-shaping. They are often part of cities because of the history of water transport, but now hurt urban connectivity. For example, Oakland remains the very poor cousin of San Francisco. Even rivers seem to have an impact. London has lots of bridges but the wealth and the productivity is overwhelmingly on one side of the Thames. It required Manhattan house prices to reach many millions before Brooklyn got any buzz, and Shanghai only developed the far side of the Huangpu in the last 20 years. I’d be very interested to see a meta-analysis of whether, in the last 50 years, the value of having a river has turned from positive to negative in terms of a city’s economic growth. The impediments a big river would create to city connectivity are likely to be significant, especially where bridges are in short supply. All this is very interesting, but we can’t go back and unbuild the Sydney Harbour Bridge. So what’s the point? The point is we can learn a valuable lesson. Don’t spend valuable taxpayer resources providing infrastructure that will “shape” your city in the wrong way. Infrastructure is extremely durable. Every mis-spent dollar will spend centuries choking your city. If it accidentally facilitates growth in hard-to-access places, or encourages inefficient kinds of transport use, infrastructure spending can be the enemy of a good city. Posted on September 25, 2014 September 28, 2014 Author thomasthethinkengineCategories UncategorizedTags cities, infrastructure, Melbourne, sydney, transport, Urban27 Comments on The Sydney Harbour Bridge was a bad mistake. 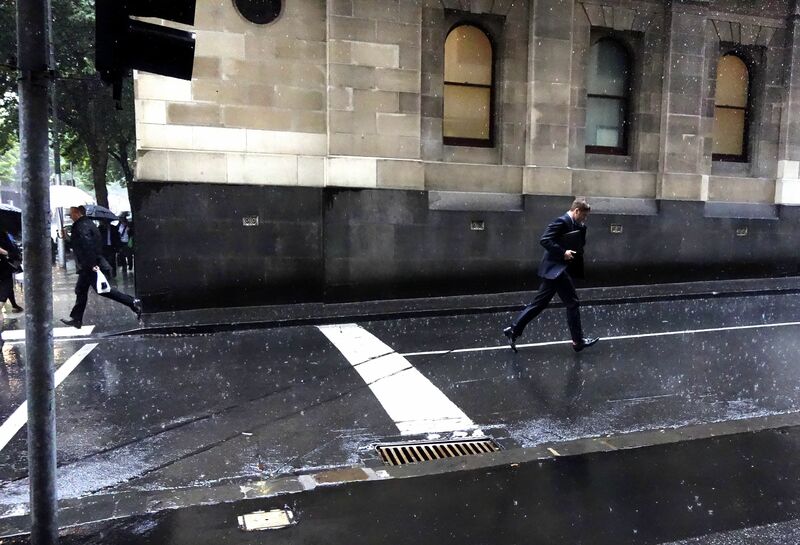 RBA calls it: Australia’s housing market has gone horribly wrong. “Unbalanced” and “out of proportion” are the words they use in a brand new report out today. Who knows what sort of calamity could follow a macroeconomic event associated with a big house price fall? And if you think not owning a house makes you safe then you are wrong. 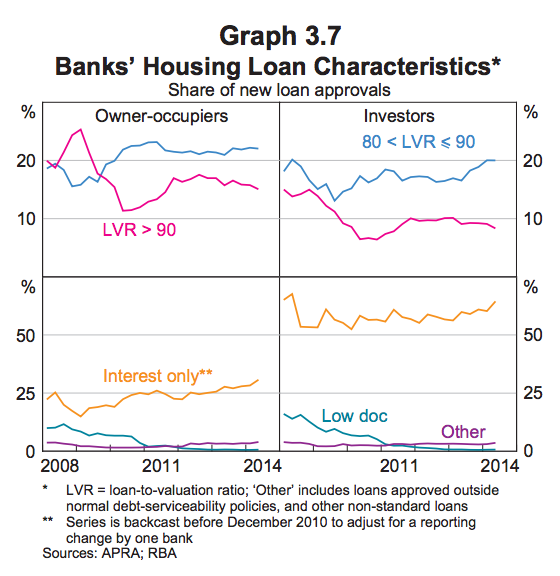 The recent rise in interest-only loans (yellow line below) also has the RBA worried about whether speculation is rife. They are so worried about house prices they are cracking open the weapons safe and rustling around for some ammo to try to scare off packs of hungry investors. The most likely step is not to mimic NZ and try to control Loan-to-Value ratios (as you can see in the above graph, LVRs seem to be under control). It is to make banks add a bigger buffer to their lending criteria. Currently they add 2 per cent to the existing interest rate. That might rise. 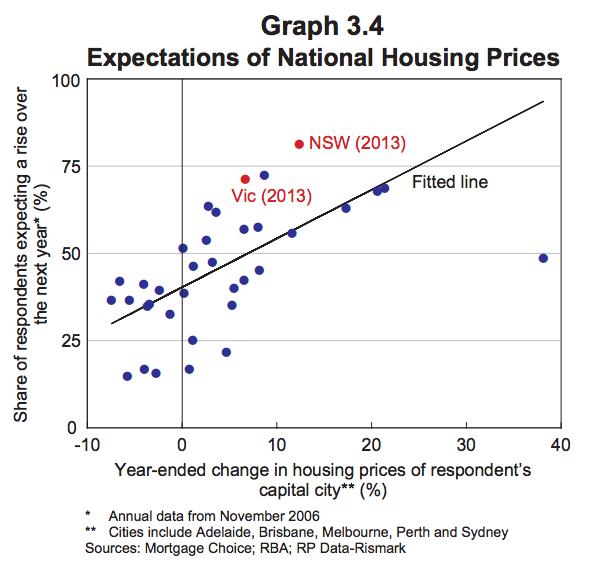 CAVEAT: The RBA points out that housing market dynamics are most skewed in Melbourne and Sydney. I’ve noted myself that buying in Brisbane looks like a pretty clever move. FULL DISCLOSURE: The author is not invested in property. Posted on September 24, 2014 September 24, 2014 Author thomasthethinkengineCategories UncategorizedTags Economics, house prices, Melbourne, property pricesLeave a comment on RBA calls it: Australia’s housing market has gone horribly wrong. New competition report tries to go hard on transport reform, but is naive. The draft of the government’s big competition policy review is out today, and transport reform is one of the biggest priorities. Having different subsidies for different types of travel makes as much sense as having different rail gauges across Australia. The point of competition law is to put options on the same footing for consumers (after taking into account market failures). 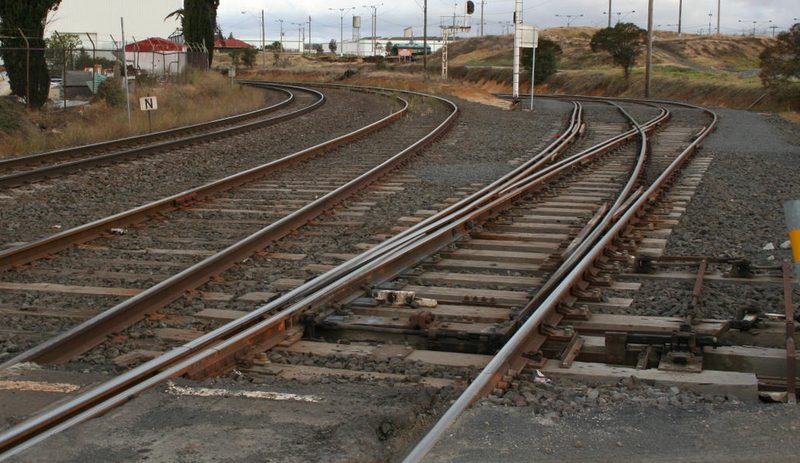 But here, the rail gauge analogy is a good one, because it shows that coordinating what should be an obvious win for efficiency is actually going to be very difficult. The report hangs its hat on transponders. This technical advancement will allow a new era of road-charging, the report argues. But the report is chicken. It deals with the neat, obvious and simple issues of economic efficiency of road pricing. Do you really need a professor and a QC to tell you there are efficiency gains from pricing things in the economy? This is an injudicious turn of phrase. In setting expectations that avoiding imposing higher charges on “road users” should be the goal, it knots its own noose. Obviously, some people need to pay more. The word “overall” is poor choice since some people’s savings in fuel taxes, etc, will be less than their tolls. Perhaps the word “average” (which has a nice clear meaning) should have been deployed instead. This paragraph is a nod to the idea that the issue needs selling. But as a political strategy goes, it is awfully weak. This report is a welcome reminder that the issue of road pricing is still alive. It underlines that – through a process of elimination – road pricing is becoming one of our most pressing economic reform issues. But road pricing is a long way from having an effective support base, and is a million (untolled) miles away from being widely introduced. This draft report does little to change that. Trevors in Traffic: a PR strategy for congestion charging. Posted on September 22, 2014 September 22, 2014 Author thomasthethinkengineCategories UncategorizedTags competition policy review, road pricing, urban railLeave a comment on New competition report tries to go hard on transport reform, but is naive.